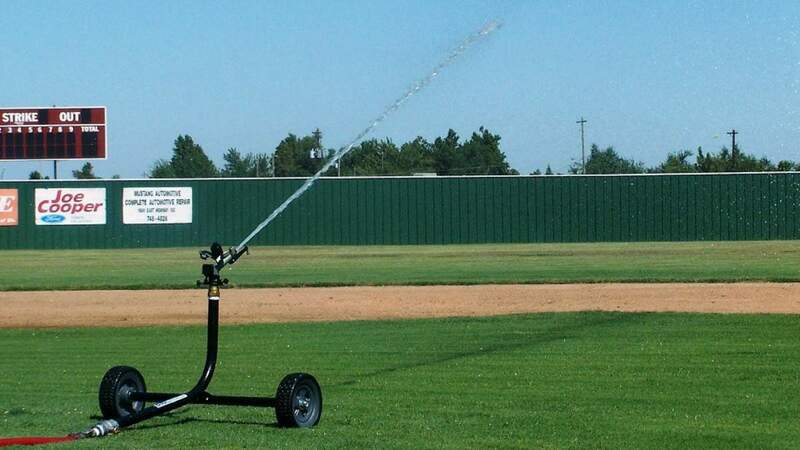 1250K-Heavy Duty Bigsprinkler Cart is constructed with 1-1/4” heavy gauge steel pipe and a solid 1-1/2" steel axle for weight; complemented by a durable "baked on" powder coat finish. 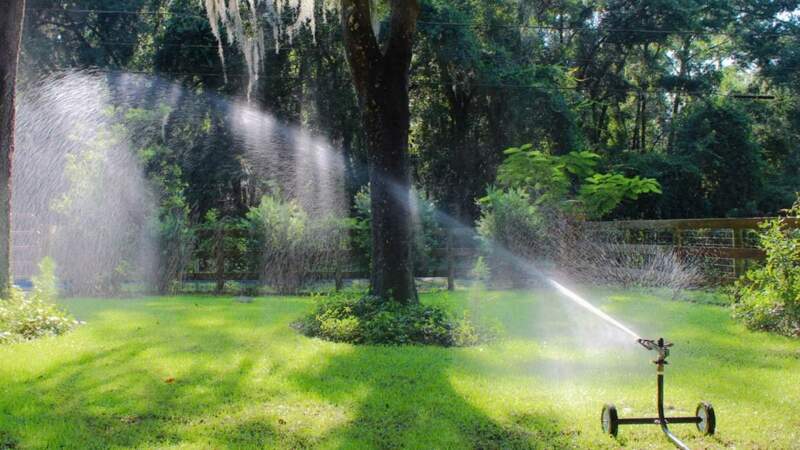 It also comes standard with 1-1/4" standard national pipe threads and the large commercial grade Sime model "K1" impact style sprinkler that may be set to a full or part circle spray pattern. This cart is a very popular choice and a great setup for 10 to 50 gallon per minute flow rates with coverages up to 150 feet in diameter! The 1250K may be adapted to 1", 1-1/2", or 2" supply lines, simply request a threaded adapter to convert to 1", 1-1/2" or 2" at no extra charge when ordering. (A full performance chart may be viewed in the specifications tab). 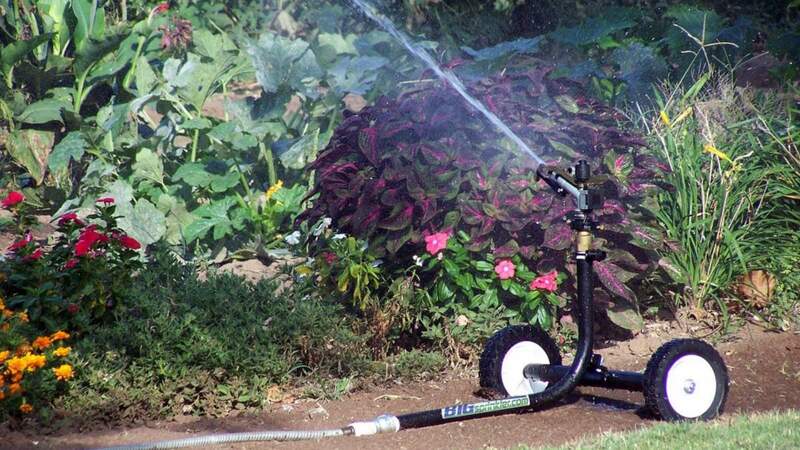 The 1250K sprinkler cart is most often used with our 1.5" or 2" pre-made hoses for water supply to the cart. Also, see this cart in our BigSprinkler complete irrigation packages complimented by a pump and hoses; complete and ready to pump from your pond or stream! * Remember to order the camlock connection needed to connect with your layflat hose, we will supply the appropriate sized bushing! 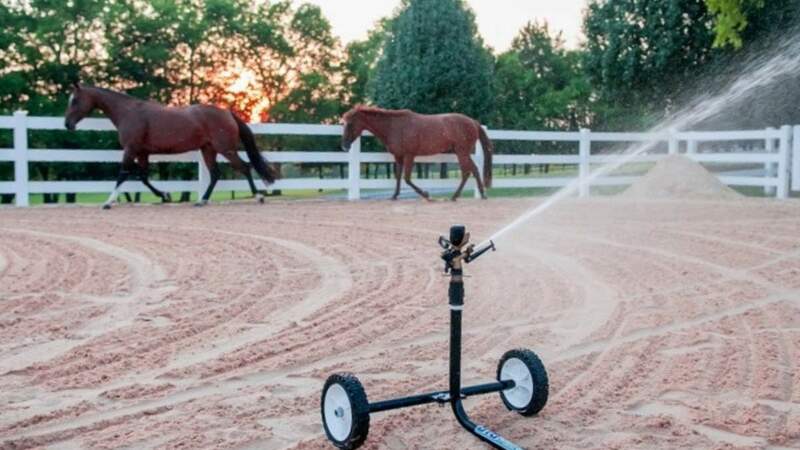 Portable wheeled sprinkler carts are an excellent and affordable option for irrigating a variety of areas such as gardens, large yards or acreages, playgrounds, natural and artificial sports fields, horse arenas or round pens for dust control, livestock grazing paddocks, mining projects, and much more. Our carts are fabricated with care and precision in our facility with heavy steel tubing and a solid axle design to prevent tipping while the sprinkler is in operation or when pulling the supply hose to re-position the sprinkler cart. 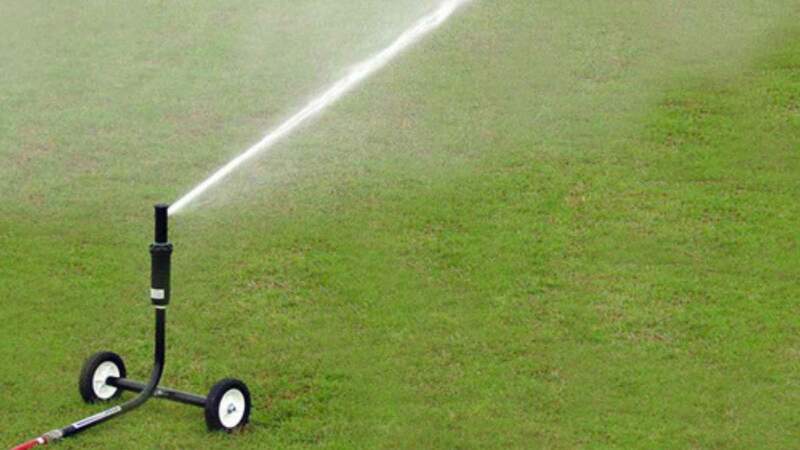 This big, durable irrigation cart can be assembled in minutes and ready to irrigate wherever and whenever you want big volume irrigation! Inlet Size: 1-1/4” Standard, Adaptable to 1”, 1.5" or 2"